My name is Stacey and I live in Northeast Pennsylvania. I am married to my love and in June, we will celebrate 10 years of marriage!!! My husband is a pastor so our life is a bit nontraditional. Together we have little two girls named Emma who is 6 and Ana who is nearly 3. I enjoy exercising, scrapbooking, decorating, blogging, painting and redoing furniture, travelling, crafting, spending time with friends and family and ministry. My family is my passion. I am originally from Lancaster, PA. 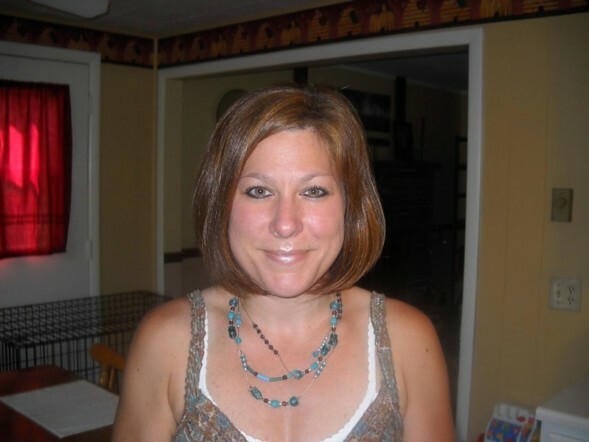 I attended Millersville University and graduated with my master’s degree in clinical psychology in 1999. I currently work full-time as a therapist with children. I have always worked in the flield of mental health and love it. I am intensely interested and continually fascinated with the human brain. I am a beliver in Jesus Christ and anticipate the future with Him. I work with children’s ministry and Celebrate Recovery group in my church. I am an exceptionally busy person and I am generally fun-loving, outgoing and family-oriented. I like to be on the go all the time and struggle to be still! My favorite movie is the Notebook. 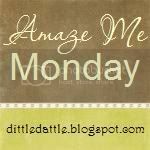 I was introduced to blogging in November of 2010 and love it and just cannot stop!! It is a new hobby for me. Sorry about not having many pictures to share of myself, but I always find myself behind the camera rather than in front of it. Suppose that’s just how it goes with us moms! This could be used for many seasons…the color and texture is so rich! Spray paint your wreath red so that no white shows through. I used the 99 cent Walmart brand spray paint. 2 coats will do it. Let it dry. Then beginning cutting out 5 inch square pieces from the burlap. Trust me when I say mine were not perfect and there is no need to be too precise with that measurement because you will never really know if it is exact when the wreath is done! You will need a gazillion squares, but cutting them goes fast really. Have fun with it! Please do let me know how you like it!! Wow, I love your wreath!! It is fantastic!! I’m your newest follower and happy to meet you. Love the wreath! I would love for you to link up to my Ten Buck Tuesday link parties! Thank you Lauren! I am also your newest follower and linked up to your par-tay! Awesome! I know exactly what you mean; I have a closet full of “big plan” items! I love the large display cabinet you upcycled you mentioned in your freecycle post! It is absolutely gorgeous! Everytime I try to log onto freecycle, it takes me to some sort of yahoo group and I’m lost… am I doing it right? I am feeling so frustrated tonight as I have lots to do, but no time as it has been such a busy week..maybe this weekend will be better! Wow! It turned out great. Thanks for linking it up so that we could see! Thanks Emily! I love it! Thank you for the tutorial! I have never seen this before. How creative. Your girls are beautiful in their pink dresses. Thank you Mo! Thanks for taking the time to stop by – makes a gal feel good! Blessings on Valentine’s Day! That is a beautiful wreath. I am having a giveaway on my blog. $40 to get any vinyl decal from Urba Walls. check it out!